Here are some other websites that provide services to seniors and support the mission of Tower Grove Manor. 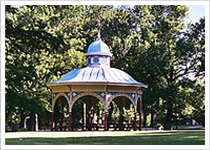 Are you a senior looking for a retirement community? Are you a caregiver of an elderly loved one? Relax. Take a deep breath. Change can be managed. Life can get better. It can even be downright fun. St. Andrew's Resources for Seniors System can help. 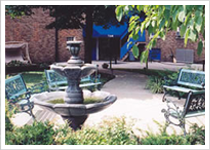 We offer a wide range of senior living options and in home care services. Let us be your Trusted Guide. Call us and Worry Less™. Learn More About St. Andrew's. Senior Solutions offers a comprehensive approach aimed at providing seniors, and their caregivers, options to address the issues associated with aging. We offer lifestyle options that enhance health and independence, ensure safety and minimize concern. We provide support for seniors living in their own home, a retirement living community or residing in an assisted living or skilled nursing facility. 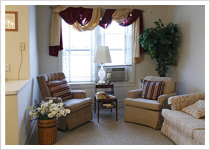 Our goal is to ensure the comfort and well being of older adults regardless of where they choose to make home. Learn More About Senior Solutions. LeadingAge Missouri’s work is dedicated to assisting its members to be the leaders in Missouri in the delivery of innovative, quality long-term health care, housing, and services for older adults. Their national partner, LeadingAge, is an association of 6,000 not-for-profit organizations dedicated to expanding the world of possibilities for aging. Together, they advance policies, promote practices and conduct research that support, enables and empowers people to live fully as they can. 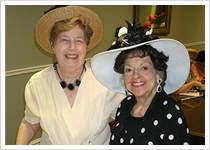 Visit Our Page on "LeadingAge Missouri". "Making disciples, building congregations for the life of the world" is the vision and hope of the Episcopal Diocese of Missouri. It also is the daily journey of every person of faith and congregation. Visit Our Page on "Episcopal Diocese of Missouri". CHHSM is the Council for Health and Human Service Ministries of the United Church of Christ. They are a community of leaders and organizations committed to advancing the healing and service ministry of Jesus Christ. Their 73 corporate members, all affiliated with the United Church of Christ, operate 363 communities and programs for children, youth, families, older adults and people with disabilities. Learn More About "CHHSM".